A very Merry Christmas to all of you too! And Happy New Year! 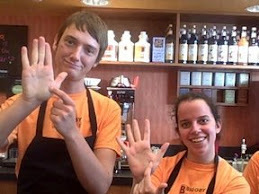 I LOVE the holiday video - it is on my top ten favorite things about BIGGBY COFFEE :) Glad I did not miss it this year! Your holiday open is very friendly. Of course the bathroom scene was intended to be art directed as spontaneous and fun, but we could not get past how the hands were simply rinsed. (???) This scene is not recommended. Or, you may want to showcase a proper ritual of washing hands after using the toilet. This clip is a PR disaster waiting to happen, especially because Biggby is a safe food and beverage company. 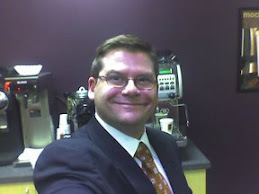 You have now built your brand image back up as premium; common sense and caution is suggested.